2018 IL Summer Camp Recap – JT Turner Wins It! The 2018 Chris Sailer Kicking Summer Camp Tour is now in full swing. The most recent stop was in Chicago, IL on July 9th in the Dome at Rosemont. There was a terrific balance of talent across the classes of 2021, 202o, 2019 & 2018. Take a look at the results. 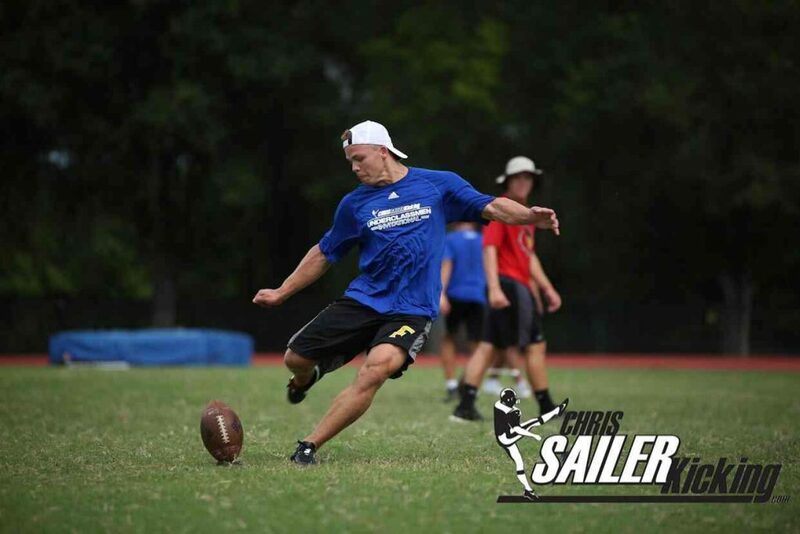 The long time Chris Sailer Kicking put on by far his best performance ever. He was absolutely dominant on both field goal and kickoff all day. He won the field goal competition by going 7-7 with a long of 56 yards. He hit a pure ball off the ground all day going over 90%. JT was also Co-Kickoff champion. He averaged 65+ yards with 4.0+ yards. His impressive all around camp earned him a TOP 12 Camp invitation that he will attend July 16-18. JT is 100% ready for the next level. The TOP 12 Camp Invitee is a special talent. He has a big time leg and shows excellent D1 all around talent. He won the kickoff competition by averaging 70+ yards with excellent hang time. He was also strong on both field goal and punt. Jack continues to prove that he is one of the very best in the Class of 2020. He is now the newest 5-Star Rated Chris Sailer Kicking Kicker. Big things ahead. OFFER NOW!!! Mason came through when it counted the most. The long time Chris Sailer Kicking Punter and Aaron Perez trainee did a nice job punting from start to finish. His consistency helped him capture the punt championship. He punts for a nice combination of distance and hang time. College football is in his future with continued hard work. He is one of the hardest workers out there. Mason should have a great upcoming 2018 football season. Take a look at the FINALS ROUND! 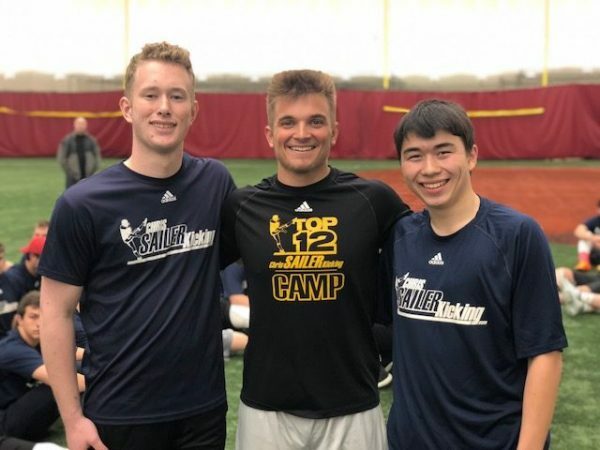 2018 IL Spring Camp Recap, Massick Impresses! The Chris Sailer Kicking 2018 IL Spring Camp Tour continued with a stop in Chicago, IL on Saturday April 7th. Specialists from over 15 states were in attendance in one of the most competitive regional camps to date. Over a dozen specialists proved that they have a legitimate shot at making TOP 12 next month at Vegas XXXII (May 12-13, 2018). Take a look at the results. Sam had of the most impressive camp performances at a 2018 Spring Camp to date. He won both of the major field goal competitions against 60+ competitors. Sam went a perfect 12-12 with a long of 55 yards. He also nailed a 50 yard field goal under intense pressure in the finals. Sam continues to prove that he is a top national prospect in the Class of 2020. 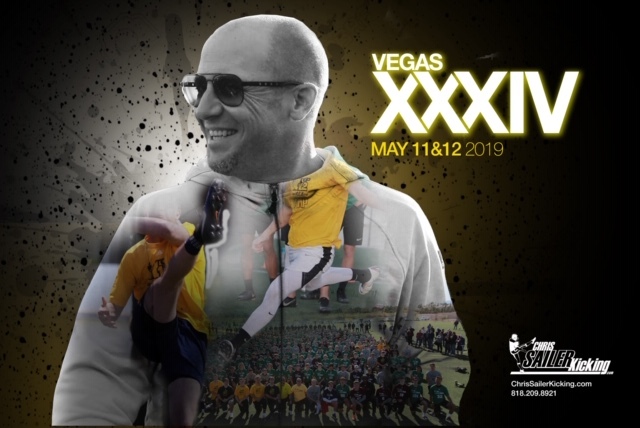 Look for Sam to dominate Vegas XXXII and challenge for a TOP 12 spot. 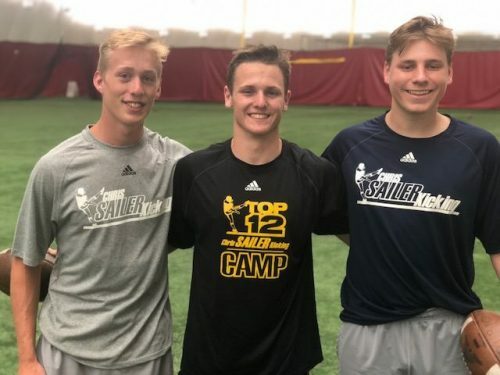 The Chris Sailer Kicking 2-Time TOP 12 Camp Invitee had another strong day in Chicago. 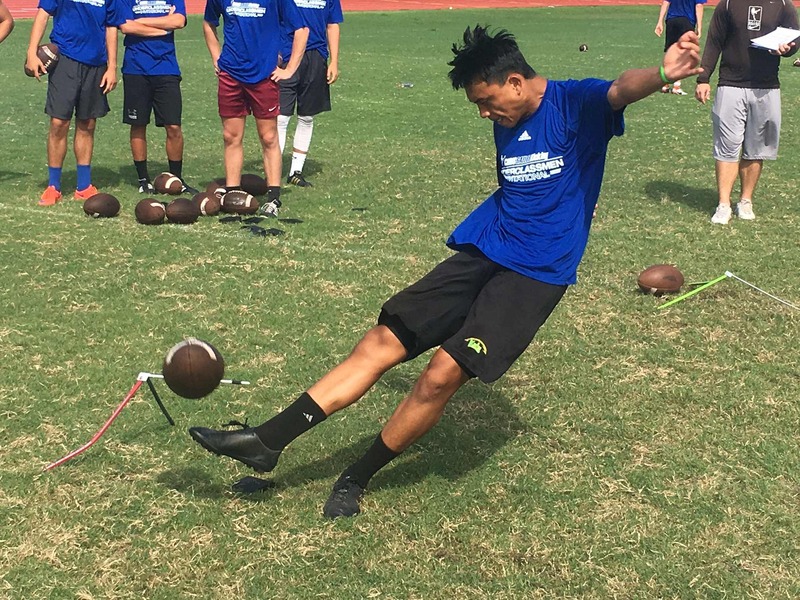 He won the kickoff competition by averaging over 70 yards a kick with 3.7+ hang time. He was also excellent on both field goal and punt. Chris is one of the top 2019 prospects in the nation without a doubt. Look for him to have a huge off season impressing college coaches around the nation. He is a big time D1 prospect. 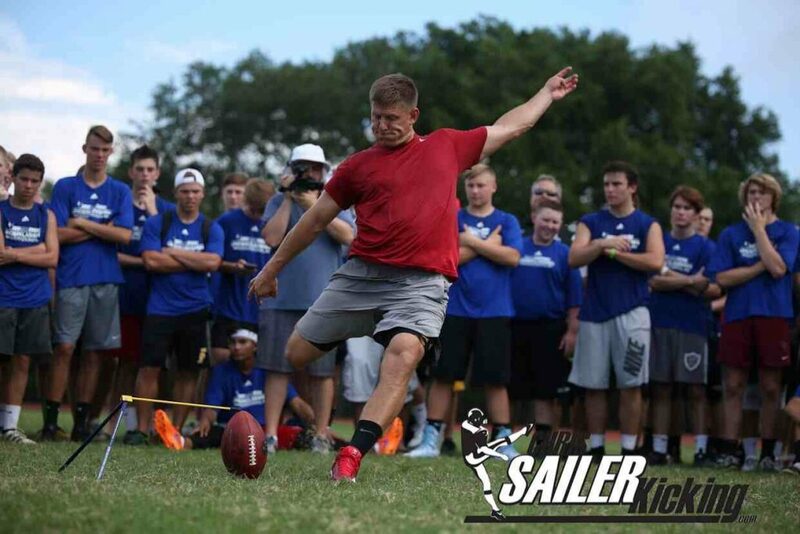 The longtime Chris Sailer Kicking combo specialist (K/P) had his best camp performance by far. He won the punt competition by averaging 40+ yards with 4.3+ hang time. He also hit multiple balls 50+ yards with 4.6+ hang time. Hunter was also strong on both field goal and kickoff. This camp should prove to be a game changer for Hunter. He is now a top combo prospect in the nation for the Class of 2020. Brandon proved once again that he is ready for the collegiate level. He has a strong leg and kicks with excellent technique and consistency. Brandon has 50+ yard range off the ground on field goal. His kickoffs measure 60 yards with 3.5+ hang time. He is also strong mentally and does well under pressure. He is a fine young man that is going to make a nice addition to any college football program. Then get ready for a tremendous 2018 Summer Schedule! 2017 Underclassmen Invitational – The Future is Here! The 2017 Underclassmen Invitational took place in Tampa, FL on July 20-21, 2017. 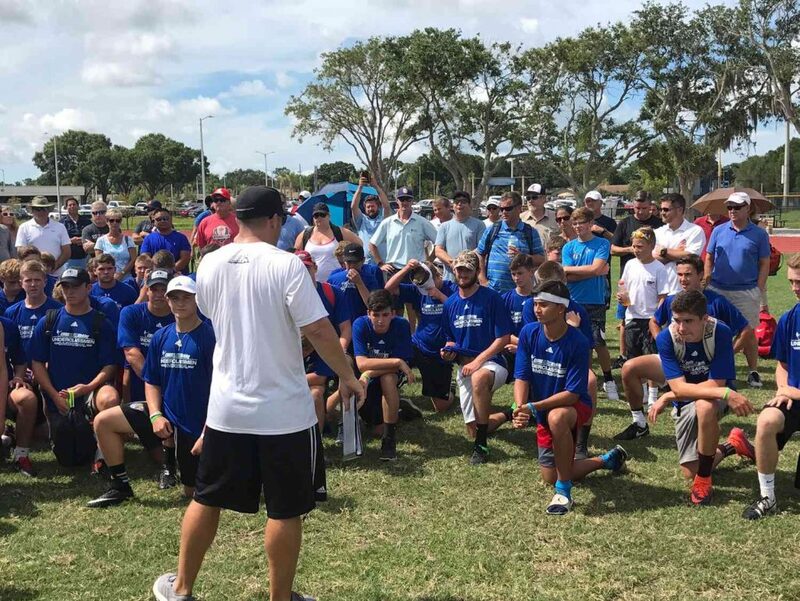 Two hundred plus of the nation’s top Class of 2019, 2020 & 2021 specialists made their way to Florida for one of the most popular camps of the year. This camp has quickly become my second favorite camp of the year, just behind the TOP 12 Camp. The two day camp is about much more than just kicking and punting. This camp is as much about the parents and families as it is about the athletes. The two days are filled with kicking, punting, educational meetings, game shows, meals and gatherings. The three major goals of camp are improvement on the field, improvement off the field and becoming one family… #TeamSailer #SailerFamily. 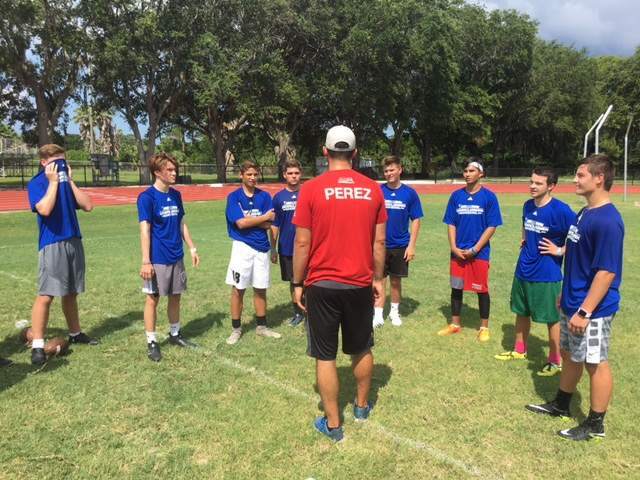 This camp sets up athletes and their families for a bright future in the world of kicking and punting. 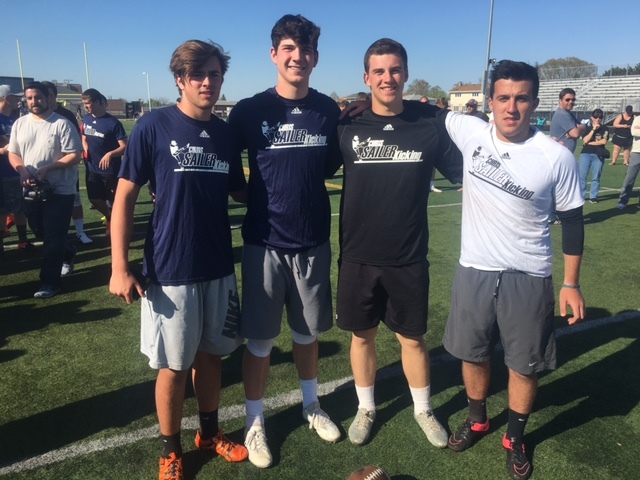 The Underclassmen Invitational featured 200+ specialists from nearly every state in the U.S. ranging from Hawaii to New York. The camp also hosted a few players from outside of the U.S from as far away as Australia. Nearly 400 parents also attended and majority of participants brought the entire family along. Take a look at a day by day breakdown. Field Session: Four hours of total field time (2 Groups) where athletes are separated by position and graduation year. 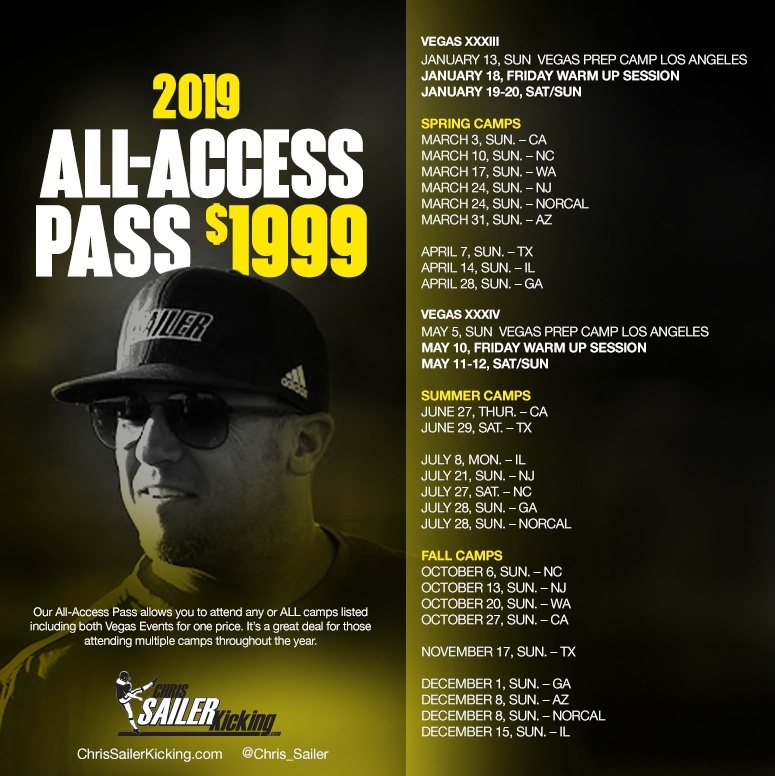 Each athlete was put into a group of 10 or less with 2 of Chris Sailer Kicking’s best instructors including Aaron Perez, Erik Folk, Tristan Vizcaino, Andrew Gantz, Blanton Creque, Cole Murphy and many more. Drills, field goals, kickoffs, punting and evaluation was the focus. 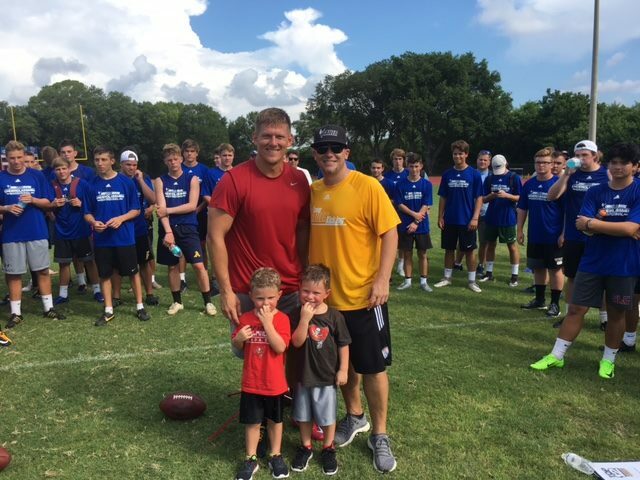 College & Pro Demo: Nick Folk of the Tampa Bay Buccaneers made a special appearance to perform for the future of the sport. In the sprit of the Underclassmen Invitational he also brought along his 3-year old twin boys (they even attempted a few field goals). Folk, Vizcaino, Gantz, Creque, Murphy, Gonsoulin and more put on a show for the 500+ spectators. Competition: At the end of each group session the athletes participated in a field goal last man standing competition. 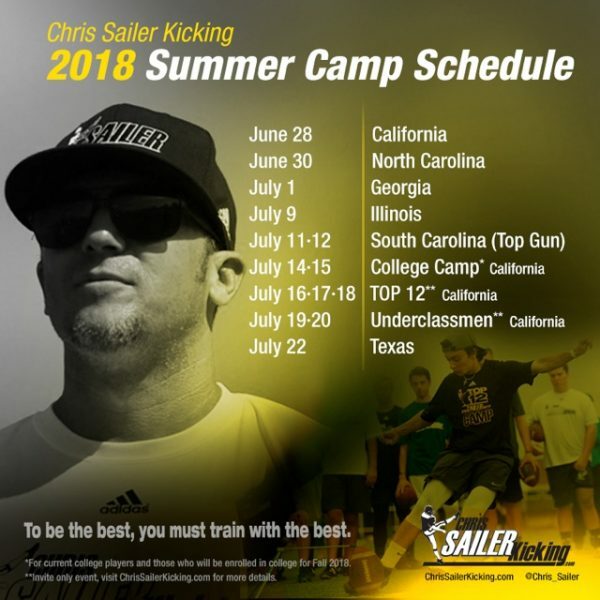 This is a famous Chris Sailer Kicking Competition that has challenged the best of the best for 17+ years of camps. Ryan Sanborn (CA) – The longtime Chris Sailer Kicking kicker/punter was stellar at all skills over the course of the two days. He won the field goal competition by connecting on 7-7 field goals with a long of 55 yards. Ryan continues to prove that he is a top national kicking and punting prospect. Ryan has a bright future with continued hard work. Tabor Allen (TX) – Tabor has been one of the most clutch performers in his class over the past few years. He is always at his best once it is time to compete. A great athlete that already kicks field goals off the ground. He went 6-6 on field goals with a long of 55 yards to win it. Even more impressive, he did it in rainy conditions toward the end of camp. David Kemp (KS) – David was clearly the standout performer in his class in Tampa. He is a fine young athlete with a big time leg. He kicks with nice technique and consistency. He also went 6-6 on on field goals with a long off 55 yards to win it. Look for David to be near the very top of the rankings with the Class of 2021 rankings are released this coming Fall. 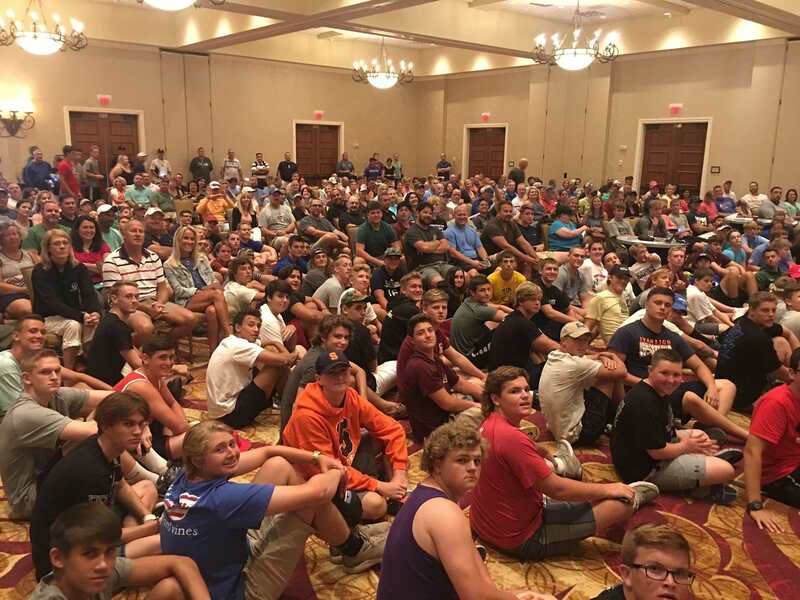 Educational Meetings: Athletes and parents headed back to the hotel for two hours of educational meetings. Topics ranged from nutrition to training to social media to recruiting. Game Show: The Kickers/Punters vs. Long Snappers Game Show has become one of the most popular Underclassmen Invitational traditions. This year, we decided to include the parents as well. After taking the crown in 2016, the Kickers/Punters were looking to go back-to-back. Unfortunately the Long Snappers came out on top. If you ask me, the questions were rigged ;). No worries, we will come back strong in 2018. 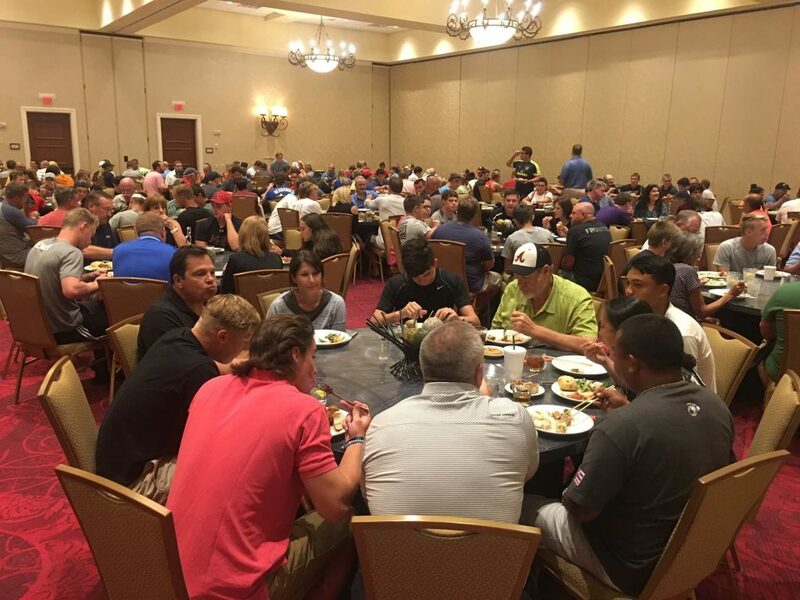 Family Dinner: Chris Sailer Kicking & Rubio Long Snapping hosted a massive dinner in the hotel ballroom where all were invited. Salads, Pastas, Meatballs, Breads and an assortment of drinks were served. The atmosphere was full of smiles and laughter and the conversations were about much more than just football. It is safe to say that the dinner was a huge hit. Field Session: This was Competition Day. 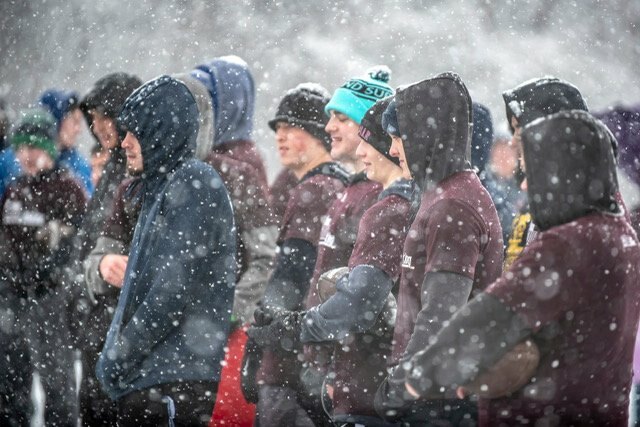 Athletes checked-in in groups of four and were charted individually through a circuit of field goals, kickoffs and punts. Results will be posted in the coming weeks. Stay tuned. Competition: At the end of the charting session it was time for punters to compete in a head to head competition. Twenty three athletes qualified based on two days of evaluation. The intense competition put the punters head to head in a single elimination format. Austin McNamara (AZ) – The 6’4” punter stepped up when it counted the most. He punted several balls 40-50 yards with 4.3-4.7 hang time. In the end, he was able to edge out top prospects such as Ryan Sanborn and Ben Freehill with consistency. Austin has the tools to be a great college punter. Daniel Cristiani (IN) – Daniel did a great job over the course of the two days. 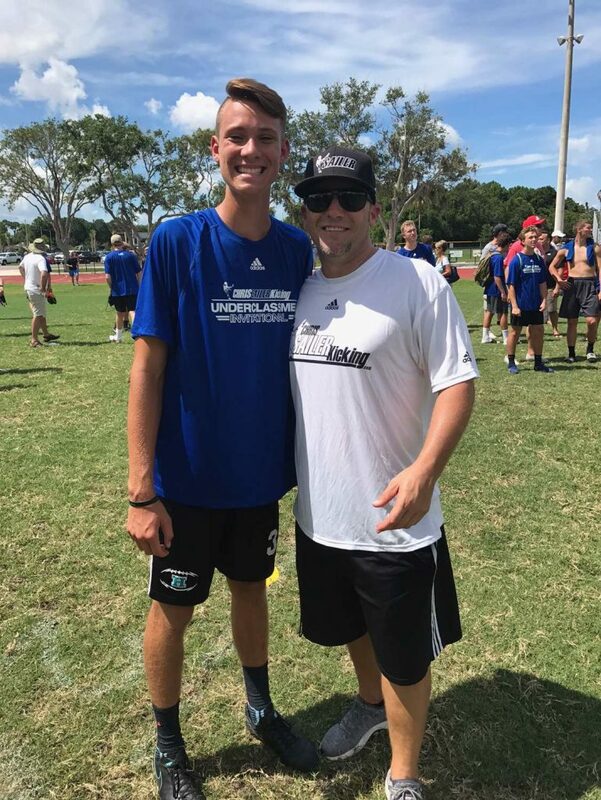 This was his third camp with Chris Sailer Kicking and his hard work is paying off. Daniel is a talented athlete that has a bright future with continued hard work. Q & A With Sailer & Rubio: Athletes and parents headed back to the hotel for a Question & Answer session. Questions were answered, pictures were taken and final goodbyes were said. 2017 IL Spring Camp Recap, Cooney Dominates! With each camp we get closer and closer to Vegas 30. 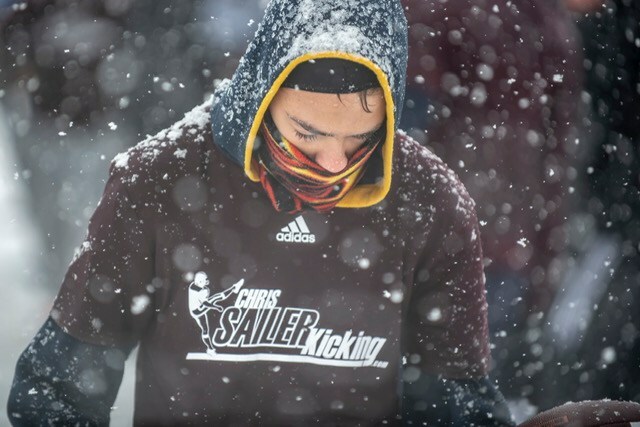 Chicago, IL was the site of the 7th 2017 Chris Sailer Kicking Spring Camp. So far over 700 specialists have competed in CA, NC, WA, TX, NJ, AZ and IL on the road to Vegas 30. This was bar the most impressed I’ve ever been with the talent and competition in the Midwest. Take a look at the results. Michael Cooney (2018, IL) – The long time Chris Sailer Kicking Kicker is really starting to come into his own. He proved that he was one of the very best at the camp from minute one. He made it to the end of nearly every competition and came out on top on kickoff. Michael is a confident kicker that kicks with great consistency. He has 55 yard range on field goals off the ground. His kickoffs average 65 yards with 4.0 hang time. Michael is a D1 prospect that should challenge for a TOP 12 spot in Vegas! Devin Parker (2018, IL) – Devin did an outstanding job at his first Chris Sailer Kicking camp. He is a great looking athlete with an explosive leg. He won a major field goal competition with his consistency and ability to also hit from deep. He has 50+ yard range and a D1 kickoff leg. Devin also does very well under pressure. Look for Devin to turn the heads of college coaches this summer. Bryce Hellgeth (2018, IL) – Bryce is a very talented athlete. He has a great leg and excellent natural ability. He stepped up to win the first major field goal competition by connecting on 7 straight field goals from 35 to 52 yards. Many of these kicks were into a significant wind. He also showed promise on kickoff. Bryce has a great skill set and his best is still in front of him. Look for Bryce continue to make a name for himself this spring and summer. He is a strong prospect. Porter Wilson (2019, OH) – Porter is a big time punting talent. A 6’5″, 210 pound athlete with unlimited potential. He did an outstanding job the entire day averaging well over 45 yards, with 4.4 plus hang time. He also hit several balls over 50 yards with 4.7 plus hang time. Porter has the ideal D1 punting frame. He is one of the best punting prospects I have seen in a few years. Look for Porter to be the first punter in the Class of 2019 to pick up scholarship offers. He will easily challenge for a TOP 12 spot this May in Vegas. Quentin Wallace (2018, IL) – The TOP 12’er proved exactly why he earned that honor at Vegas XXIX this past January. 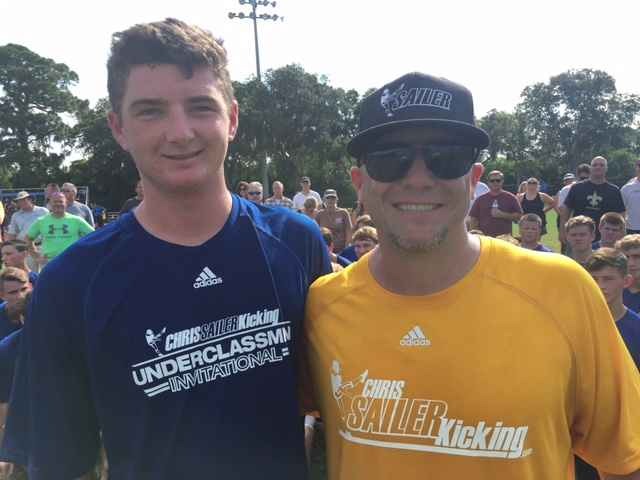 The long time Chris Sailer Kicking student is a D1 scholarship level kicker without a doubt. He hits a pure ball off the ground and has 55+ yard range. He also has one of the best kickoff legs in the nation. On this day he hit several balls over 65 yards with 4.1 plus hang time. His best ball topped 4.2 seconds. He is a big time competitor that is well on his way. Class of 2018 College Prospects: Michael Cooney, Quentin Wallace, Dylan Williams, Eduardo Favela, Evan Price, Jacob Holous, Jake Rittman, Michael Bobak, Nathan Eccles, Nathaniel Rockwell, Stephen Ruiz, Andy Vujnovich, Nathan McRoberts, Adam Barry, Bryce Hellgeth, Devin Parker, Lucas White, Matthew Trickett, Milan Dezelich, Parker Blust, Sam Strange adn Kyle Romenick. 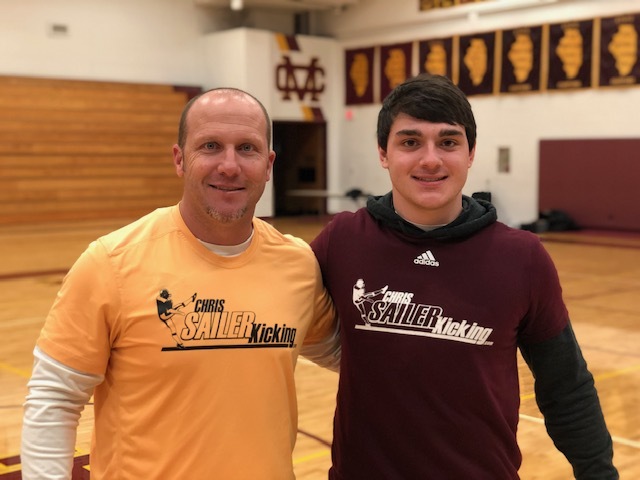 Chris Van Eekeran (2019, IN) – The long time Chris Sailer Kicking Kicker/Punter continues to shine. Chris is a big time talent that has all the tools to take his game to the highest level. He has 50+ yard range of field goals off the ground. Kickoffs are deep with 3.8+ hang time. And he also shows he can hit big punts. Look for Chris to be a top prospect in the 2019 recruiting class. Class of 2019 College Prospects: Porter Wilson, Chris Van Eekeran, Chase Neal, Griffin Crosa, James Turner, Jonathan Rukujzo, Keaton Hier, Mason Molique, Tony Baldacci, Tyler Bachara, Andrew Pollina, Cade Henry, Dmitri, Shpak, Graham Dable, Jack Ierulli, Joey Mitchell. JJ Wadas (2020, IN) – JJ is a very talented young kicker. He has elite leg strength and already shows he can hit a pure ball off the ground. He has 50+ yard range and kicks with nice consistency. JJ is also explosive on kickoffs. Look for JJ to continue to make big strides and compete with the very best in the Class of 2020 for years to come. Class of 2020 College Prospects: JJ Wadas, Cameron Shirkey, Hunter Renner, Christian Alerding, Daniel Cristiani, Joseph Maci, Trey Newland. 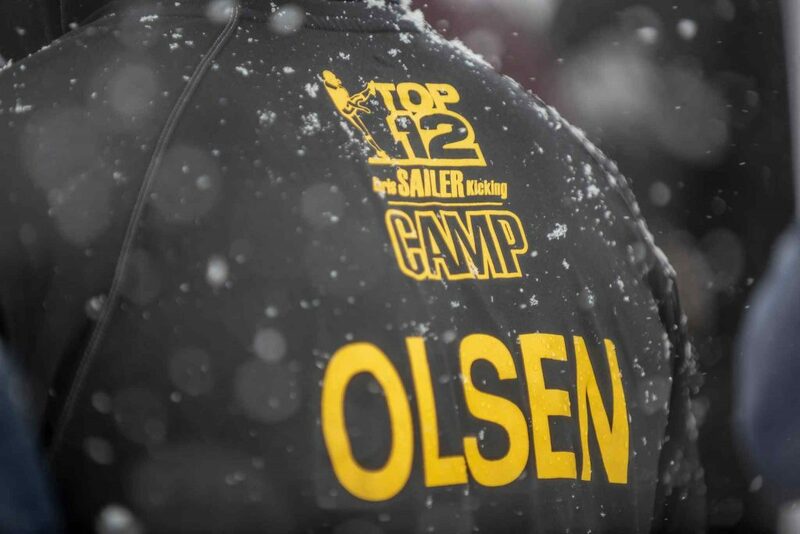 Top Youth Prospect: Matthew Sailer.